If you’re concerned over world events or the apparent track the US economy is following and feel that a serious economic-security issue could occur with in the next year or two, the following checklists may prove helpful. This post contains three well thought out lists that act as a guide to putting together a variety of emergency supplies. 2. Build a 72 hour B.O.B for emergency situations for every person in the family, containing food, clothing, documentation; an Accessory container for water and other items will most likely needed. The Bug Out Bag, Accessories and Water are your GO Kit. 3. Back Up Power Source: Develop a home Back Up Power Source in case the power goes out; suggestions include a power pack, or deep cycle batteries, and /or a small 1KW-2KW generator and stabilized fuel. Have back Up power to sustain your basic systems for a 1-2 week duration. 4. Back Up Heat Source: Develop a Back Up Heat Source, something that does not depend on electricity: For example install a wood burning stove and buy, minimally one cord of cut and seasoned firewood; have a propane stove and fuel. Develop sources for heating and cooking. 5. 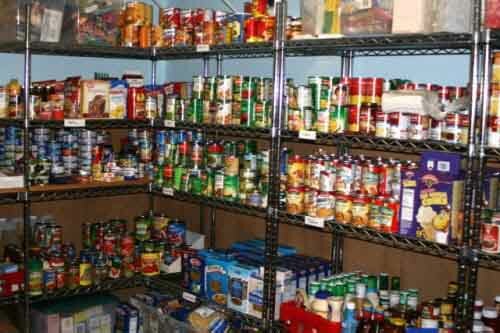 Cupboard Back Up: Develop a ‘Cupboard Back Up’ to your regular canned and dry goods food supply: Buy two large, covered Rubber Maid tubs and fill them with the non refrigerated foods that you normally eat. With this in place, you must rotate your food, when items from the cupboard are eaten, restock them from the tubs, then buy replacement items to replace those removed from the tub. With a stocked cupboard and the two Rubber Maid tubs filled, you will have about a 30 day supply of food. 6. Water Storage: You must have a minimum of 50 gallon water storage. This can be composed of bulk storage such as a 55 gallon drum and several cases of bottled water. See also my post, Food & Water/Water. 7. Have two emergency Radios and batteries. Communications: Back up family Communications technology with at least 1 mile range: Walkie-Talkies for everyone in the household, charged and including spare batteries. Could be beneficial to have CB radios in family cars as well. 8. Basic Documentation Package: Build a basic documentation package, including maps for everyone in the group showing routes to your local meeting and alternate meeting locations, maps with marked routes to your Bug Out Location; a list of phone numbers and addresses for everyone-business-motel that you might talk to during the emergency and while on the road. Have general daily schedule for every member of the family along with phone number, contact persons and addresses. 10. Food Storage Procedures: Learn 2 methods of Food Storage, i.e., Dehydration, smoking meat, pickling, etc. 11. Farmers Market & Seasonal Opportunities: find a local Farmers Market and learn about your local, seasonal food opportunities. 12. Cook 5 New Foods: Learn to cook 5 things you’ve never eaten before. Make them out of as many storable products as you can. This increases your food storage/supply/opportunities and teaches cooking. Affirmation: Affirm your right and responsibility to survive, say it to yourself out loud, “I have a Right and Responsibility to Survive”. An “entitlement to survive” is where people would surround you and maintain you, giving you what you need to survive. B. When SHTF, these 100 items will disappear first When planning for an emergency, think about the worst situation imaginable. Here is mine: chaos, to get as much food and supplies as possible, gas lines that run out into the street, highways at a virtual standstill, banks not giving out money, looting, fires, babies crying because that have no formula to drink. It’s not a pretty picture when you allow yourself to imagine it. Having supplies on hand can put a person way ahead of the game. While some people are battling the lines and the grocery stores, you could be packing your items up and headed for hills before they even attempt to. For any beginning prepper, or those on a budget, the below list may be overwhelming. If you have not yet begun planning and preparation for an emergency or disaster, consider the basics first. In a disaster, your physiological and safety needs will be the most important, begin your preparations accordingly. 1. Generators: Good ones cost dearly. Gas storage, risky. Noisy…target of thieves; maintenance, etc. 2. Water containers: An urgent item to obtain. Any size. Hard plastic only. Minimum storage volumes of 1 gallon/ person/day. Plan accordingly. 3. Water Filters and chemical purifiers. 4. Hand pumps and siphons: For water and for fuels. 5. Portable Toilets: Increasing in price every two months. 6. Toilet paper, Kleenex, paper towels: Imagine life without TP. 8. Big dogs and plenty of dog food. 9. Honey, syrups, white & brown sugar: honey is a very long-term storage item. 10. Rice – Beans – Wheat (flour): Quick start, get 15 lb each. 11. Vegetable/olive oil: for cooking, without it food burns/must be boiled, have at least 2 quarts on hand. 12. Milk – Powdered and Condensed: Shake liquid every 3 to 4 months. 13. Canned goods: Fruits, veggies, soups, stews, meats (tuna-in oil, salmon, chicken, spam), etc. : While shopping, buy a couple extra cans every week in order to ‘double stock’ your cupboards. 14. Baking supplies: flour, yeast, salt, baking powder, baking soda: Have at least a double supply of the basics. 15. Pet food, bedding, waste disposal and vet supplies; Double supplies on canned, and long-term with the dry goods. 16. Garlic, spices (esp. cinnamon), Soy sauce, vinegar, bouillon/gravy/soup base. 19. Aluminum foil (Reg. and Heavy Duty): Great cooking and barter item. 21. Wine/Liquors: For bribes, medicinal, etc. Tradable units should be in smaller volumes/trade units, ie, 375 ml. or ½ pint. 25. Vitamins: Critical, due to potential of having canned food diets over an extended period. 26. Hand-Can openers and hand egg beaters, whisks: are life savers! 27. Garbage bags: Impossible to have too many. 29. Propane Cylinder Handle-Holder: Urgent: Small canister use is dangerous without this item. 30. Propane cylinders, Coleman fuel: Definite shortages will occur. Safe to store, with long-term shelf life. 31. Propane Heater(s), i.e., Mr. Heater: and all accessories that go with it: extra propane tanks,heads, hoses, etc. 32. Mantles: Aladdin, Coleman, etc. : Without this item, longer-term lighting is difficult. 34. Cast iron cookware: Sturdy, efficient, adapt to camp fire use. 35. Matches, butane lighters: “Strike Anywhere” matches preferred, boxed, wooden matches will disappear first. 36. Charcoal and Lighter fluid: Will become scarce suddenly. 38. Seasoned Firewood: About $250 per cord; wood takes 6 – 12 mos. to become dried, for home uses. 39. Lamp Oil, Wicks, Lamps: First choice: Buy CLEAR oil. If scarce, stockpile ANY! 40. Coleman Fuel: URGENT $2.69-$3.99/gal. Impossible to stockpile too much. 41. Fishing accessories: line, hooks, bobbers, etc. 42. Lighting sources: For short-term and long-term: Flashlights, hurricane lamps, light sticks, etc. Have Mantles and common repair parts on hand. 43. Batteries: Rechargeable: if possible, try to have all devices work from one or two battery sizes, i.e., AA and/or AAA. 44. Solar panel, storage battery & inverter kit: to recharge your AA & AAA batteries; cell phone, iPod, lap top and other small electronics. 45. Paper plates/cups/utensils: Stock up, folks. 46. Bow saw, axe, hatchet and Wedges, honing oil: For preparing firewood. 47. Seasoned firewood, 1+ cord: (4 ft x 4 ft x 8 ft) Cut & split, takes 6-12 month to dry for use. 50. Fire extinguishers: In every room…In a social breakdown, services may not be available. 51. First aid kits: Topical skin treatments, anti acids, Tylenol, Vagicile, antibiotics, antiseptics, bandages and gauze, anti diahhreal, laxative, eye wash… Google “Patriot Nurse” and see her many YouTube videos. 52. N95 disposable face masks, ½ face respirator/full face respirator with N100 and All hazard filters, Tyvek suit, rubber gloves, Potassium iodide pills: For pandemic, radioactive dust, biological agents. 53. Coleman lantern, kerosene lamps, lantern hangers. 54. Guns, spare clips, ammunition, body armor, Pepper spray, knives, extendable steel baton, bats & slingshot. 55. Writing paper/pads/pencils/solar calculators. Journals, Diaries and Scrapbooks: To jot down ideas, feelings, experiences of the historic times! 56. Insulated ice chests: Good for keeping items from freezing in wintertime. 57. Candles: 9 hour lantern candles are available through Amazon and in Wal-Mart camping department. 58. Plastic containers: bathing (per person); communal: laundry, dish wash & rinse, misc. 60. Garbage cans Plastic: Great for storage, water, transport – if you buy one with wheels. 62. Fishing supplies and tools. 63. Mosquito coils, repellent sprays, creams. 64. Duct tape: Several rolls. 65. Tarps/stakes/twine/nails/rope/spikes: Tarps large enough to make a tent (12×16+) others for ground cloths, to catch rain water, other. 66. Backpacks, Duffle bags (BOB): If no BOB, then a back pack for each member of the family. 67. Scissors, fabrics and sewing supplies. 68. Clorox Household Bleach: Plain, NOT scented: 4 to 6% sodium hypochlorite. Water purification, sanitation. 69. Garden seeds (Non-hybrid): A must. 70. Garden tools and supplies. 72. Knives and Sharpening tools: files, stones, steel. 74. Sleeping bags and blankets, pillows & mats. 75. Cots and Inflatable Mattresses: For emergency ‘guests’. 76. Survival guide book(s), Boy Scout Handbook. 77. Board games, cards, dice, books, crossword puzzles: To help pass the time. The greater the disaster, the more time you’ll have. 78. Baby Wipes, oils, waterless and Anti-bacterial soap: Saves a lot of water. 79. Feminine Hygiene, Hair care, Skin products: Tampons, shampoo, lip balm, moisturizing lotion, sun tan lotion. 80. Men’s Hygiene: Shaving supplies, shampoo, toothbrush/paste, mouthwash, floss, nail clippers. 81. Basin, washboard, mop bucket with wringer: for Laundry. 82. Clothespins, clothes line, hangers: A must. Have clothes pins in stock and eye bolts for line installed ahead of time. 83. Adequate clothing: Work boots, belts, Levis denim trousers and durable shirts for cool weather.‘Tennis shoes’ and light twill, khaki pants and light-colored shirts for hot climates. 84. Spare glasses, reading glasses. 87. Thermal underwear: Tops and bottoms. 88. Hats and cotton neckerchiefs. Polymer filled, ‘Cool wrap’ neck bandanas. 90. Rain gear, rubberized boots, etc. 91. Roll-on Window Insulation Kit, clear and black plastic sheeting: Enough to cover all windows and entry doors. 92. Lumber: All types, a couple of sheets of plywood, some 2×4 and 2x2s. 93. Wagons and carts: For transport to and from open Flea markets. 95. Screen Patches, glue, nails, screws, nuts and bolts. 97. D-Con Rat poison, MOUSE PRUFE II, Roach Killer. 98. Mousetraps, Ant traps and cockroach magnets. 99. Glue, nails, nuts, bolts, screws, etc. C. Advice From a Sarajevo War Survivor: Experiencing horrible things that can happen in a war – death of parents and friends, hunger and malnutrition, endless freezing cold, fear, sniper attacks. 3. After awhile, even gold can lose its luster. But there is no luxury in war quite like toilet paper. Its surplus value is greater than gold’s. 5. Canned foods are awesome, especially if their contents are tasty without heating. One of the best things to stockpile is canned gravy – it makes a lot of the dry unappetizing things you find to eat in war somewhat edible. Only needs enough heat to “warm”, not to cook. It’s cheap too, especially if you buy it in bulk. 6. Bring some books – escapist ones like romance or mysteries become more valuable as the war continues. Sure, it’s great to have a lot of survival guides, but you’ll figure most of that out on your own anyway – trust me, you’ll have a lot of time on your hands. 7. The feeling that you’re human can fade pretty fast. I can’t tell you how many people I knew who would have traded a much-needed meal for just a little bit of toothpaste, rouge, soap or cologne. Not much point in fighting if you have to lose your humanity. These things are morale-builders like nothing else. 8. Slow burning candles and matches, matches, matches. D. Survival Tools This list could easily run into the thousands of items, but here are a few you should think about having around the house and/or the retreat. These are for the survival situation when TEOTWAWKI (the end of the world as we know it) occurs rapidly, leaving you without the modern conveniences, little or no resources outside of what you have at hand, and a government that cares more about taking care of itself than caring for you and the thousands of other refugees. As a general rule, avoid products that require batteries, or use consumables such as gasoline and propane, unless you have large storage tanks for fuel. If you can, look for radios and flashlights that can be powered by hand or contain rechargeable batteries and a self-contained solar panel. Spend your money wisely, as the hundreds or thousands you spend on a night vision devices could buy you months worth of food. Note, this is not intended as your bug out bag, automotive survival stash or 72 hour kit. But these are tools you may not have on hand that could be very useful in a survival situation. Chain saw (with spare gas and oil): Great for clearing storm damage, rescuing others or cutting down a tree to block easy access to your house, neighborhood or retreat. Axe and/or Hatchet: If you need to chop some fire wood, split some small logs or clear away some brush, an axe is a good second to the chain saw. Hatchets are great for making kindling and kids can use them, too. A Hand Saw: If you don’t have a chain saw, you can still cut through a pretty good-sized log with a large hand saw. Get one with large teeth made for cutting logs, not mitering corners. This will be much more efficient for cutting logs than an axe. Shovel: You never know when you might need to dig a hole, and it’s tough without tools. If you need to build a latrine, it will be a lot easier with a shovel than the survival knife on your belt. Same for an improvised nuclear shelter. Captain Dave keeps a folding shovel in his car, just in case. If you live where the soil is especially rocky, a pick and/or pry bar would be good additions to the list. Rope: Thick, thin or in between, there are 101 uses for rope and twine. From an improvised line for drying flooded or rain-drenched items to lashing items to the roof of your bug-out vehicle, you should keep a few different kinds on hand. Knife: Captain Dave recommends carrying a knife at all times. But a larger knife is useful for dozens of possible tasks, from whittling a tent stake to cutting a fishing spear. Once you have a general-purpose knife or two, you can add skinning knives, folding knives, etc. Sharpening stone: This will help keep you knife, axe, and other bladed implements sharp and ready for use. Add a file for the axe and hatchet. Big wrench: It’s possible you will need to turn off your gas or water main if your domicile receives serious damage. While special non-sparking wrenches are made specifically for turning off the gas, any wrench will do in a pinch. Cast iron frying pan and Dutch oven: A properly treated cast iron frying pan is great for cooking eggs or rodents on a gas stove or over a camp fire. And a Dutch oven will cook everything from stew to bread. Tin cups, and plates: Glass and china products will break, especially in a rough survival environment. Metal products are lighter to carry and can be tossed off the shelf in a quake with no side effects. Plastic is a good alternative, but you cannot heat a plastic cup over an open fire. The enamel products, built for camping, are the nicest available. Hand powered grinder/mill: If you store buckets of grain, Captain Dave assumes you have thought of this necessity. Bucket: Whether you need to haul water, or carry vegetables from the garden to the house, a bucket is an item you will be hard pressed to make. Plastic jugs or other water containers: You may need to carry water from a nearby source, and gallon jugs are easy enough for everyone in the family to carry. Fire starter: Once the power goes out, you’ll be depending on a fire to cook, boil water, keep warm, etc. You need to make sure you have plenty of different fire starting materials. Lighters and matches are good, but alternatives such as a flint and steel are even better in the long run. Sleeping bag and/or blankets: The value these will provide in keeping warm at night should be self evident. Multiple light sources: A hurricane lantern that burns kerosene is very convenient, more so than a Coleman lantern. Keep flashlights on hand for short-term use but stock up on candles. It gets pretty dark when the electricity is out for days or weeks, and they are warm and comforting. Tarp/plastic sheets: Ideal when you need to keep something dry, create a temporary shelter or rig a catch system to trap rain water. Gun: You should give serious consideration to owning a gun for self-protection. If you take personal survival seriously, you owe it to yourself and your loved ones to explore the benefits of gun ownership. Bicycle: After the immediate emergency dies down, you may need to get around your local area, and a bike is an excellent alternative when cars are not practical. Maybe there’s a lack of gasoline or downed bridges and overpasses, as we saw after the big California quake. You can carry a bike over broken cement and can cover much more ground than walking. If society breaks down to the extent that you need to use a bike, they will be very expensive. So get one now and use it recreationally. 1. Physiological needs(base tier) For the most part, physiological needs are obvious — they are the literal requirements for human survival. If these requirements are not met, the human body simply cannot continue to function. Air, water, and food are metabolic requirements for survival in all animals, including humans. Clothing and shelter provide necessary protection from the elements. The intensity of the human sexual instinct is shaped more by sexual competition than maintaining a birth rate adequate to survival of the species. 2. Safety needs With their physical needs relatively satisfied, the individual’s safety needs take precedence and dominate behavior. These needs have to do with people’s yearning for a predictable orderly world in which perceived unfairness and inconsistency are under control, the familiar frequent and the unfamiliar rare. In the world of work, these safety needs manifest themselves in such things as a preference for job security, grievance procedures for protecting the individual from unilateral authority, savings accounts, insurance policies, reasonable disability accommodations, and the like. Humans need to feel a sense of belonging and acceptance, whether it comes from a large social group, such as clubs, office culture, religious groups, professional organizations, sports teams, gangs, or small social connections (family members, intimate partners, mentors, close colleagues, confidants). They need to love and be loved (sexually and non-sexually) by others. In the absence of these elements, many people become susceptible to loneliness, social anxiety, and clinical depression. This need for belonging can often overcome the physiological and security needs, depending on the strength of the peer pressure; an anorexic, for example, may ignore the need to eat and the security of health for a feeling of control and belonging. 4. Esteem All humans have a need to be respected and to have self-esteem and self-respect. Also known as the belonging need, esteem presents the normal human desire to be accepted and valued by others. People need to engage themselves to gain recognition and have an activity or activities that give the person a sense of contribution, to feel accepted and self-valued, be it in a profession or hobby. Imbalances at this level can result in low self-esteem or an inferiority complex. People with low self-esteem need respect from others. They may seek fame or glory, which again depends on others. Note, however, that many people with low self-esteem will not be able to improve their view of themselves simply by receiving fame, respect, and glory externally, but must first accept themselves internally. Psychological imbalances such as depression can also prevent one from obtaining self-esteem on both levels. Most people have a need for a stable self-respect and self-esteem. Maslow noted two versions of esteem needs, a lower one and a higher one. The lower one is the need for the respect of others, the need for status, recognition, fame, prestige, and attention. The higher one is the need for self-respect, the need for strength, competence, mastery, self-confidence, independence and freedom. The latter one ranks higher because it rests more on inner competence won through experience. Deprivation of these needs can lead to an inferiority complex, weakness and helplessness. Maslow also states that even though these are examples of how the quest for knowledge is separate from basic needs he warns that these “two hierarchies are interrelated rather than sharply separated”. This means that this level of need, as well as the next and highest level, are not strict, separate levels but closely related to others, and this is possibly the reason that these two levels of need are left out of most textbooks. 5. Self-actualization “What a man can be, he must be.”This forms the basis of the perceived need for self-actualization. This level of need pertains to what a person’s full potential is and realizing that potential. Maslow describes this desire as the desire to become more and more what one is, to become everything that one is capable of becoming. This is a broad definition of the need for self-actualization, but when applied to individuals the need is specific. For example one individual may have the strong desire to become an ideal parent, in another it may be expressed athletically, and in another it may be expressed in painting, pictures, or inventions. As mentioned before, in order to reach a clear understanding of this level of need one must first not only achieve the previous needs, physiological, safety, love, and esteem, but master these needs. Deprivation Needs The first four levels are considered deficiency or deprivation needs in that their lack of satisfaction causes a deficiency that motivates people to meet these needs. Physiological needs, the lowest level on the hierarchy, include necessities such as air, food, and water. These tend to be satisfied for most people, but they become predominant when unmet. During emergencies, safety needs such as health and security rise to the forefront. Once these two levels are met, belongingness needs, such as obtaining love and intimate relationships or close friendships, become important. The next level, esteem needs, include the need for recognition from others, confidence, achievement, and self-esteem. “I’m not a fan of the bug out bag survival strategy. Too many things can go wrong and probably will. Remember Murphy’s Law which states “Anything that can go wrong, will go wrong.” no matter how hard we try or the plans we make, old man Murphy will be there. Hiding and surviving in the wild can be done, but your life will be miserable at best. No matter what the “experts” tell you living off the land – under primitive conditions, isn’t easy. Even the North American Indians often suffered from starvation and malnutrition. And they were born to the life – what makes you think you will fare better? Heading for the hills or bugging out is at best a temporary solution. A means of getting to safety until a permanent solution can be implemented. It’s a plan of last resort – when you have no other choice, but to flee or die. A better plan is the bug out trailer. This is a small trailer that can be towed by a vehicle into the back country or other location. Any trailer will work as long as the tow vehicle has enough power to pull it to where you want to go. The bug out trailer has the advantage that it can be dropped and hidden, leaving your vehicle free for other things and also the ability to carry much more than you could on your back . Dark natural colors are best – green, brown, tan and black work well depending on terrain. Avoid camo patterns as this will only attract attention. You can always cover it with camo netting and natural cover found at the drop off location. Storage Once you have equipped the trailer with the needed supplies, you need to find a safe place to store it until needed. If you are in a rural area it’s a simple matter to hide it in a corner of your garage or under a shed. If you are in the city things can get more complicated. In this case the only option maybe renting space at a storage facility. Most areas have these, allowing you to store the trailer and supplies at or near your intended bug out location. This way you don’t even need to pull it behind during your escape, it’s already there, waiting to be picked up. The downside of course is the rent paid for the storage unit. If you have a friend or relative in the area (that can be trusted) you might be able to store it there, saving the cost of rent. To discourage theft, trailers with enclosed sides, roof and lockable door are best. Removing the wheels and storing them in a separate location will discourage anyone from hooking to the trailer and driving away. You can also chain it to the storage structure. I’m not going into detail here as what you should store in the bug out trailer – that is another post in and of itself. You know you’ll need food, water, medical supplies, appropriate clothing and protection – cover these areas and you will be off to a good start. Food supplies in a bug-out utility trailer may include a hundred of pounds of wheat, rice, and beans; enough honey, powdered milk, canned goods, bottled fruit, vitamins, dehydrated fruits and vegetables, salt, pepper, spices, and oil for several months. Several cartons of freeze-dried entrees. In addition, such kits often contain high-calorie energy bars, a cooking kit, utensils, liquid soap, towels, items to handle your laundry. The water supplies may include bottled water, filtering kit, bottles, collapsible water containers, and chlorine bleach for water purification. Food preparation and washing equipment may include items such as a grain grinder, a bread mixer, a strainer, a manual can opener, a steam canner with canning jars and O-rings, cutlery, knives, an electric 12-volt cooler icebox, kerosene or Coleman lamps and heaters, kerosene or propane stoves, extra fuel, a clothes wringer, and an electric hot plate (which would require an inverter to operate off a car battery). Medical supplies may include: scissors, tweezers, forceps, disposable scalpels, two thermometers (oral and rectal), inflatable splints, bandages, sutures, adhesive tape, gauze, burn ointment, antibiotic ointment, aspirin, rubbing alcohol, ipecac syrup, sterile water, cotton rags, soap, cotton swabs, a blood pressure gauge and stethoscope. Transportation items may include bicycles with off-road tires and suspension, emergency tools and spare auto parts (e.g., fuses, fan belts, light bulbs, head light, tire pump, etc. ), and an inflatable raft with paddles. In addition, the kits may contain typical individual “survival kit” items, such as nylon tarps, extra clothes and coats, blankets, sleeping bags, matches (and/or other fire starting equipment), a compass and maps, rechargeable flashlights, toilet paper, soap, a pocket knife and bowie-knife, a fishing kit, a portable camping stove, a power inverter, backpack, paper and pencil, a signaling mirror, flashlight, whistle, cable saw, bleach, insect repellent, magnifying glass, rope and nylon cord, pulleys, and a pistol and ammunition. Communications equipment may include a multi-band receiver/scanner, a citizens band (CB) radio, portable “walkie-talkies” with rechargeable batteries, and a portable battery-powered television. The power supplies may include a diesel or gasoline generator with a one month fuel supply, an auto battery and charger, extension cord, flashlights, rechargeable batteries (with recharger), an electric multi meter, and a test light. Defense items include a semi-automatic pistol, rifle, shotgun, ammunition, mace or pepper spray, and a large knife such as a KA-BAR or a bowie-knife. Tools may include cutting tools such as saws, axes and hatchets; mechanical advantage aids such as a pry bar or FuBar wrecking bar, ropes, pulleys, or a ‘come-a-long” hand-operated winch; construction tools such as pliers, chisels, a hammer, screwdrivers, a hand-operated twist drill, vise grip pliers, glue, boxes of nails, miscellaneous nuts & bolts, screws, wrench set, a nut driver, a tap and die set, a socket set, and a fire extinguisher. If this is going to be a long-term event, bring Barterable items such as fishing line, liquid soap, insect repellent, light bulbs, can openers, distilled spirits, extra fuels, motor oil, and common ammunition in .22LR and 12 gauge. United U-Series Cargo Trailers like all United Trailers come with five-year limited warranty backed by three generations of manufacturing experience, superior materials and durable designs. Unique features include the rear corner posts and header which are made of 12 gauge steel to provide the ramp door with a solid framework. You can also customize your United U-Series Cargo Trailer in many ways and choose from different floor plans, nose shapes, and colors. 6′ x 12′ United Wedge Nose double doors, side door, stone guard, roof vent, dome lights. Regular Price…$3,399. Road Force Cargo Trailers are the mid-range trailer in the Wells Cargo arsenal. Road Force Cargo Trailers offer both rugged durability and exceptional value in there line of 5′, 6′, 7′ and 8′ wide cargo trailers. Road force even offers you ten reasons why it is the clear leader of its trailer class. The Road Force 5′ Wide Travel Trailer for instance it easy to maneuver, load, and safely tow behind almost any vehicle and offers an optional V-Front which provides an additional 28″ of room not to mention a more aerodynamic design. Pick from ten colors and a wide variety of options and packages for a total customized look. Wells Cargo. A bear of a cargo trailer, the Haulmark Grizzly Cub DT2 2009 is in no way cute and cuddly – it takes its hauling responsibilities seriously. Available in 6 ft-wide in various lengths, the Grizzly Cub DT2 is ideal for your general cargo needs. Built with steel framing, TorFlex Axles, 3/4″ plywood flooring, 3/8″ plywood interior wall liners, heavy-duty hinges, side doors optional and structural gauge steel frames, this Haulmark cargo trailer goes the distance – and then some – whether you’re headed to work or headed to the cottage. Haulmark Trailers. • Fresh Water System with Holding Tanks 18 gal. Look for Escape unit price in $16,000 range for the 16 foot trailer. Remember, a 6 ft or 7 ft wide by 12 ft long enclosed Utility Cargo Trailer with out the optional camping package, costs $3,400, and most likely – less.